The VTL market is at the precipice of disruption where organizations are now directed to modernize and unify the enterprise data protection environment. Customers still have requirements for tape operations but they require operational simplicity and cost effectiveness. Cobalt Iron introduces a software-defined VTL that is fully integrated into its Adaptive Data Protection (ADP) SaaS platform. Unlike any other VTL solution, ADP VTL is a software-enabled feature that is directly integrated within an end-to-end data protection solution. With ADP VTL, organizations can deploy a single, unified solution that unleashes data from traditional physical and virtual tape data silos all while modernizing environments which require tape resources for backup and recovery. The ADP VTL feature is not a legacy standalone VTL appliance but serves as a software-agnostic tape ingest path for the ADP Accelerator. This first-of-its-kind solution is uniquely innovative because it transforms the VTL — ordinarily an appliance that operates outside the data-protection workflow — into an integrated component of an end-to-end enterprise data-protection solution. 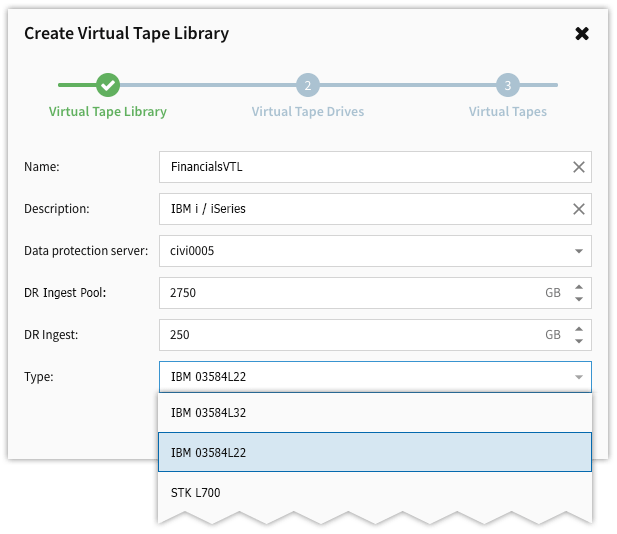 As such, it unleashes data from traditional VTL data silos and modernizes the protection of environments requiring tape for backup and restore. Intended for enterprises that wish to replace aging, high-priced VTL appliances or physical tape, the ADP VTL feature will not only eliminate tape management and tape cost but will automate VTL operations and connect VTL data to the cloud, all with a unified end-to-end enterprise data protection SaaS solution. ADP VTL also includes unique capabilities that bring special value for IBMi/iSeries users. It automates IBMi/iSeries DR operations, introduces transparent cloud connectivity, and integrates IBMi/iSeries backup with other enterprise data-protection operations — all while maintaining familiar IBMi/iSeries backup functions.